One of the critical questions asked by those of an Ashkenazi heritage, is the question of a true legacy? Many ask themselves: Am I truly Jewish? Or did my ancestors merely convert? Let’s take a look at this question for a bit, because what the historical markers reveal is quite extraordinary. NOW these are the generations of the sons of Noach, Shem, Cham, and Yapheth: and unto them were sons born after the flood. 2 The sons of Yapheth; Gimer, and Magog, and Madai, and Yavan, and Tubal, and Meshek, and Thiyrac. 3 And the sons of Gimer; Ashkenaz, and Riyphath, and Togarmah. 4 And the sons of Yavan; Eliyshah, and Tarshiysh, Kittiym, and Dodaniym. 5 By these were the isles of the other nations divided in their lands; everyone after his tongue, after their families, in their nations. Here, we see that the tribe of Ashkenaz, is a tribe of Gimer (historically known as the Cimmerians), which is a tribe of the house of Yapheth, the son of Noach. How does a group which calls itself after the tribes of Yapheth then claim to be Jewish – that is, of the house of Yahudah, of the tribes of Shem? There are two answers: one is by deception but may be historically relevant. And the other may be true, but historically irrelevant. If the answer is by deception, then there is much more than you might imagine to consider. It begins by tracing the path of the tribe of Dan (pronounced don or dawn). AND when Rachel saw that she bore Ya`aqov no children, Rachel envied her sister; and said to El-Ya`aqov: Give me children, or else I will die. 2 And Ya`aqov's anger was kindled against Rachel: and he said: Am I in ELOHIYM’S stead, who has withheld from you the fruit of the womb? 3 And she said: Behold my maid Bilhah, go in to her; and she shall bear upon my knees, that I may also have children by her. 4 And she gave him את eth-Bilhah her handmaid to be his woman: and Ya`aqov went in to her. 5 And Bilhah conceived, and bore Ya`aqov a son. 6 And Rachel said: ELOHIYM has judged me, and has also heard my voice, and has given me a son: therefore, called she his name Dan. So we see here that Dan (דָּן) is the first born of the concubines of Ya’aqov. While there is discussion later that Dan will come to judge, here we see that the birth of Dan by the concubine Bilhah – whose name means terror – was judgment on Rachel by ELOHIYM. What was the truth of this judgment? Let us see. When we look at the underlying meaning of these two letters – nun safit and dalet – we see the door to the seed if finally opened. ELOHIYM has judged Rachel by opening the door to the seed, where nun = seed; dalet = door. As we consider the markers of the tribe of Dan, keep in mind that you shall know him by his fruit. Gil`ad abode beyond the Yardan: and why did Dan remain in ships? Asher continued on the sea shore, and abode in his breaches. So, the first marker of the tribe of Dan is his remaining in ships. This has to do with the original land grant given to Dan during the time of Yahusha Ben Nun (Joshua). The name of the tribe: Dan. The name of their language is Yacouba (Jacob?). The tribe members call themselves quite often as well Yacouba. The observance of the Shabbath. Starting from Friday at sunset till the sunset of Saturday. That day they do not work; and it is the day for the offerings. They gave it the name: Sabayi. Originally, they were not allowed to walk that day more than a distance of about 7 kilometers and in old days the soldiers of the army arrested those working on that day. The original official coat of priests and tribal leaders is long and white with a limited number of vertical blue stripes. Is it hazardous, or does it show influences of a Jewish past? Those robes are not so different from the West-African traditional robes, except for the blue stripes. That is a bit akin to the Jewish prayer robes. Originally, those robes were only meant for the priests. And the sons of Dan; Chushiym. And the seventh lot came out for the tribe of the children of Dan according to their families. 41 And the coast of their inheritance was Tsor`ah, and Eshta’ol, and Iyr Shemesh, 42 And Sha`alabbiyn, and Ayalon, and Yithlah, 43 And Eylon, and Timnathah, and Eqron, 44 And Elteqeh, and Gibbethon, and Ba`alath, 45 And Yahud, and Beney Baraq, and Gath Rimmon, 46 And Mey Hai-Yarqon, and Raqqon, with the border before Yapho. 47 And the coast of the children of Dan went out too little for them: therefore, the children of Dan went up to fight against Leshem, and took it, and smote it with the edge of the sword, and possessed it, and dwelt therein, and called Leshem, Dan, after the name of Dan their father. 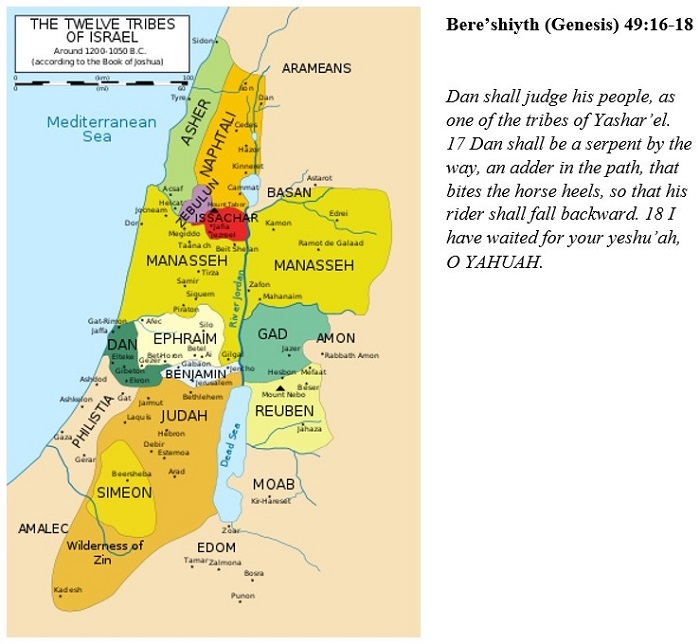 48 This is the inheritance of the tribe of the children of Dan according to their families, these cities with their villages. And there went from thence of the family of the Daniym, out of Tsor`ah and out of Eshta’ol, six hundred men appointed with weapons of war. 12 And they went up, and pitched in Qiryat Ye`ariym, in Yahudah: wherefore they called that place Machaneh-Dan unto this day: behold, it is behind Qiryat Ye`ariym. Here we see the tribe of Dan naming things after their father. We also see Dan moving north and leaping from Bashan. We see the Don (Dan) River, the D’nieper (Dan’neiper) River, the D’nestr (Dan’nestr) River, and the Dan’ube River. The geographic markers indicate that the tribe of Dan (Don) became prevalent in these areas of Ukraine and Russia. We also see signs of the tribe of Dan moving up the Danube river into Hungary (Dunaujvaros, Dunakeszi), and into Slovakia (Dunajska Streda), following along the Danube. Compare this occupation with the Khazarian Empire, circa 650-850 A.D. As we look at this map, you can see a concentration of the Khazars in the North Caucasus early on. This area is now Krasnodar, Cherkesia, Kabardino-Balkaria, Ingushetia, Ossetia and Chechnya. Only Ossetia (Alana) is Orthodox – all the other regions are predominantly Muslim. The region south of the Caucasus Mountains, identified simply as Georgia, is mislabeled, as it includes modern Armenia and Azerbaijan. Georgia and Armenia have a Christian history going back to the First Century, and conversion to a Jewish state was highly unlikely (and historically unsupported. 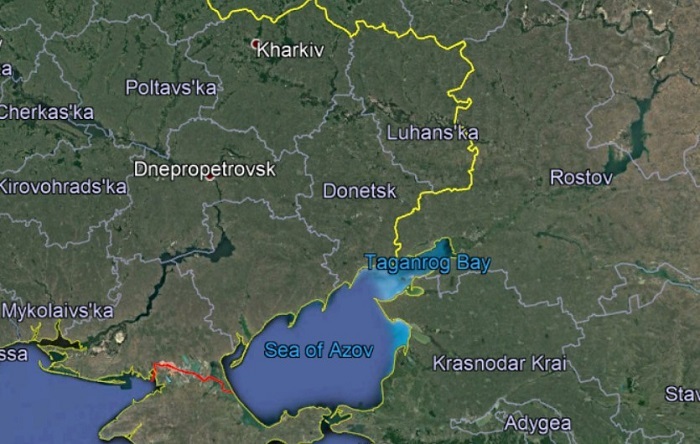 However, it can be seen how this region included the rivers Don, Dnieper and Dniester. This map also shows a third sea – the Aral Sea – which no longer exists, as it has completely dried up. Before we travel further into this history, let’s consider the history of Gimer for a moment. NOW these are the generations of the sons of Noach, Shem, Cham, and Yapheth: and unto them were sons born after the flood. 2 The sons of Yapheth; Gimer, and Magog, and Madai, and Yavan, and Tubal, and Meshek, and Thiyrac. 3 And the sons of Gimer; Ashkenaz, and Riyphath, and Togarmah. Gomer (גֹּמֶר) (Strong's 1586) [From the root גָּמַר gâmar, meaning to come to an end, fail, perfect, perform] meaning completion. Gomer, the name of a son of Yapheth and of his descendants. However, when we look at the spelling gimel-mem-resh, we see that the vowel placement of the long “o” is a guess. Does the historical record support this? And the answer is “no”. The Armenian record talks about a tribe they called Gamir (as compared with Gomer), who were a tribe who had settled in Cappadokia. Historians have regarded the Gimerians (also called the Cimmerian (the “C” being pronounced like a “K”) as being Thracian in origin. If you look again at the sons of Yapheth, you will find the youngest son to be named Thiyrac (Thrace is some spellings). Gimer (Gomer) was the oldest; Thiyrac (Thrace) was the youngest. So, the Kimmerians were Yaphetiy and would of course be similar to those of Thrace (Thiyrac). 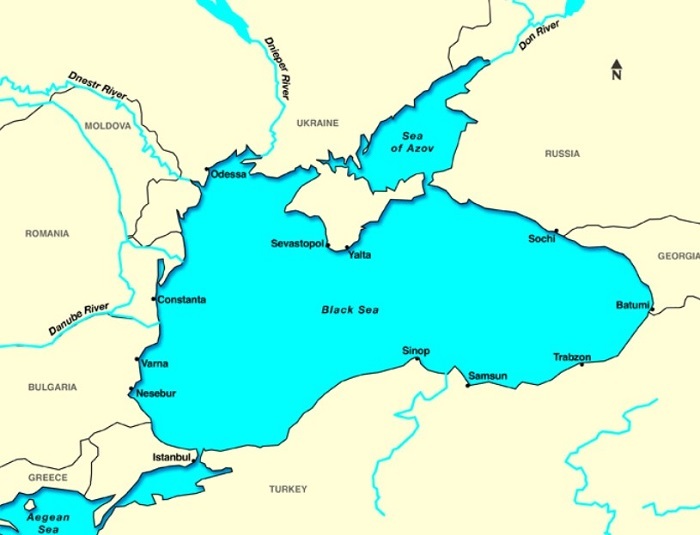 This tribe originally inhabited this area which would become Khazaria, particularly in the region directly north of the Caucasus Mountains and around the Sea of Azov. So, where did Ashkenaz, the son of Gimer inhabit, if not the same region? 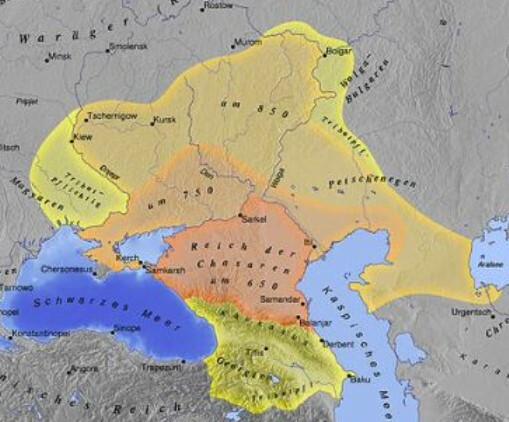 The historical record indicates that the Gimmerians were displaced by the Scythians (Sakythians, or Sa’akythians) who moved east from southern Russia – that is, that area between the Caspian and Aral Seas; although they may have also moved up over the Caucasus. The Gimmerians, being displaced, then traveled south, rejoining the region that housed most of the other brothers of the sons of Yapheth – Meshek, Tubal and so forth. Finally, those of the house of Dan would occupy certain coasts in the northern reaches of Europe, including the coasts of Denmark (Dan’s mark) and the coasts of Norway. 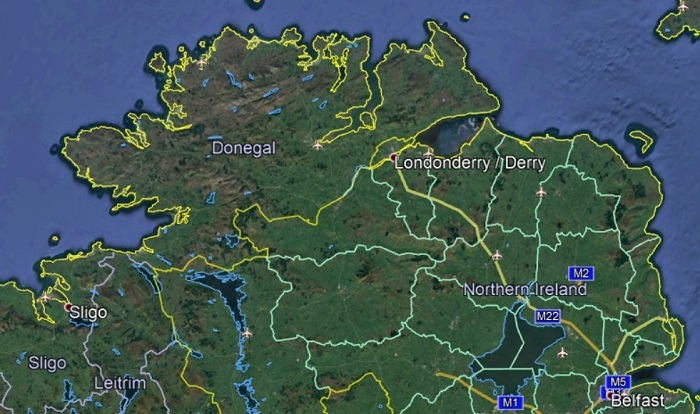 They may have also occupied the shores of Ireland, marking the northern coast as Donegal (Dan’egal).